Weekend Open Forum: What heatsink / water kit cools your computer? A factory AMD or Intel heatsink is something I simply won’t consider when building a computer. I acquired my first aftermarket cooler 15 years ago to assist in overclocking an AMD Athlon 500 (it reached 800MHz with help from a Freespeed Pro) and haven’t looked back since. As I’ve grown older, my interest in overclocking has faded – instead replaced with a desire for a quiet system that requires as little maintenance as possible. My cooler of choice for the past several years has been a massive Noctua air cooled heatsink. 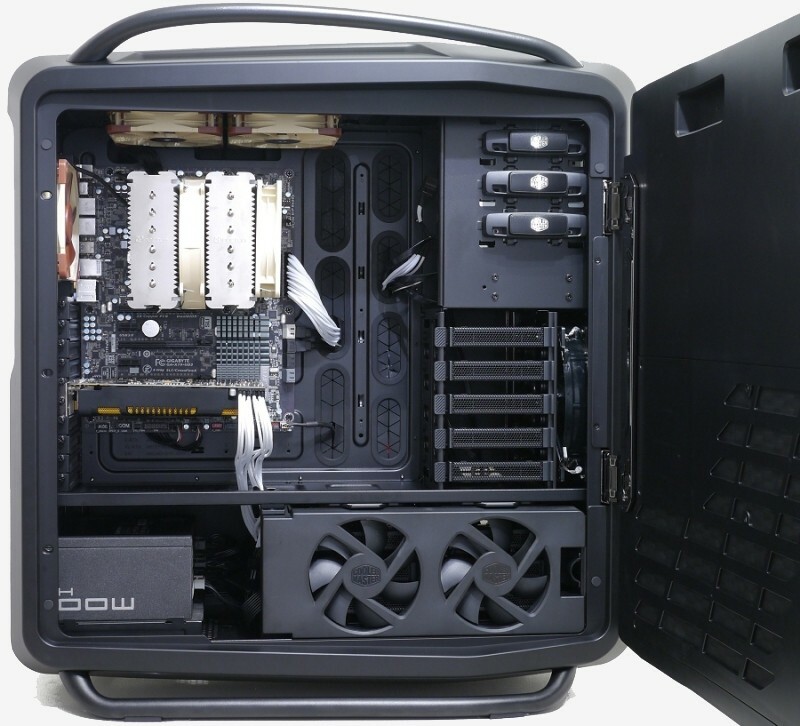 Tucked away inside an equally large Cooler Master Cosmos II chassis outfitted with low-voltage fans, I hardly hear the PC at all. With this week’s open forum, we’d like to hear about your CPU cooling solution. Do you stick with the retail heatsink or prefer an aftermarket cooler? Are you after performance or a quiet system? Air or water?